The delightful Rhythm Heaven series has come to the Wii—in Japan, at least—arriving to divine reception from the Nintendo loving masses. 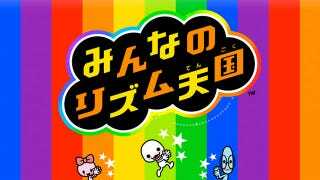 Rhythm Heaven Wii (aka Minna no Rhythm Tengoku) is Japan's bestselling game. The latest entry in Nintendo's simple rhythm game series bested two newcomers, Capcom's Sengoku Basara Heroes Chronicles for PSP and Grasshopper Manufacture's No More Heroes Red Zone for PlayStation 3, to secure first place with more than 118,000 copies sold, according to sales tracker Media Create. Rhythm Heaven Wii gives the Wii an uncommon first place software sales chart showing. The last game to do so was Pandora's Tower. Two new Western-developed games, Sniper: Ghost Warrior and Alice: Madness Returns, join the list of top 20 debuts. See how those titles performed during the week of July 18 to 24 in the sales chart listing below. On the hardware side, the Nintendo 3DS dominated the competition, even with only two games representing in the top 20. It will be interesting to see how Japanese gamers react to the system's new price drop in the coming weeks. Elsewhere, the Wii saw a nice bump, thanks to Rhythm Heaven, no doubt, and the PSPgo continues to do double-digit sales.